Police surround Miriam Carey's black Infinity after she is shot. 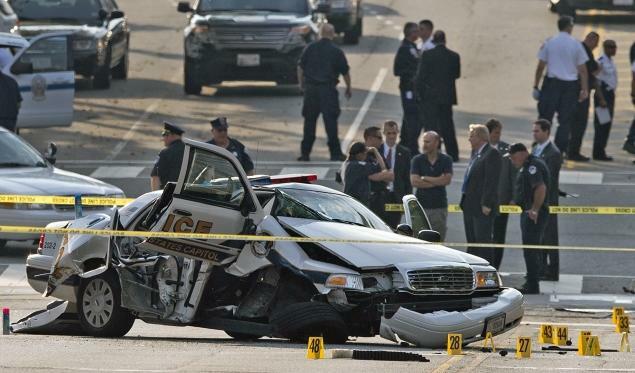 Police surround Miriam Carey’s black Infinity after she is shot. Miriam Carey’s family is blaming postpartum depression on her actions that led to her shooting death on October 3, 2013. 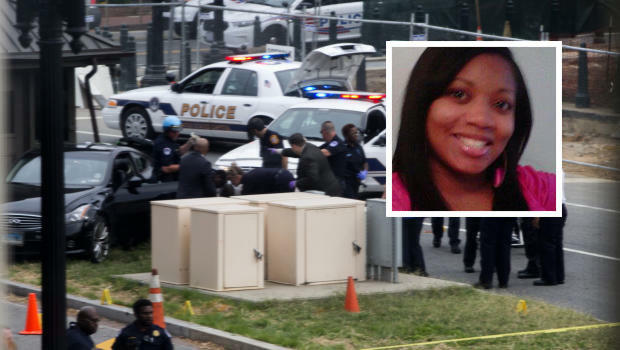 Miriam Carey, 34, was killed October 3, 2013 after a car chase from the White House to the Capitol with her baby in the back seat. 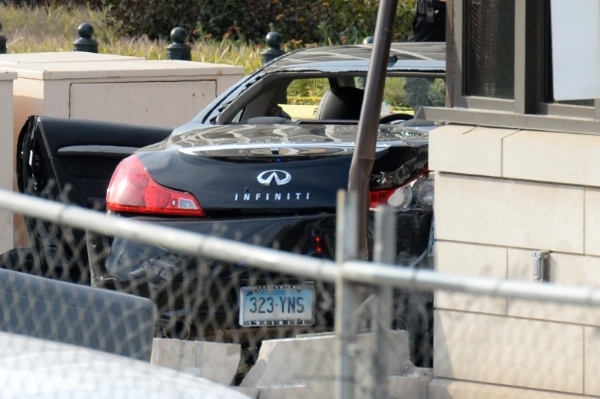 Police say she rammed a metal barricade at the White House with her black Infiniti, and a video shows Carey driving erratically as well as ramming police cars and putting officers and civilians in danger. Carey was ordered to stop and exit the vehicle multiple times, however she refused to comply. Miriam’s sisters, Valerie Carey and Amy Carey-Jones are claiming Miriam suffered from postpartum depression and according to reports the sisters are using it as an excuse to justify Miriam’s actions. Michael McCaul, chairman of the Homeland Security Committee, stated that there is documentation that indicates Miriam was a paranoid schizophrenic and being treated for psychosis; hence Miriam’s delusions that Obama was stalking her and had her apartment bugged. Miriam’s boyfriend corroborated with Homeland Security, stating she did think her apartment was under surveillance by Obama. Authorities say that the sisters have turned this into some sort of conspiracy theory, by attempting to dispute every claim that their sister was schizophrenic. Authorities point out the fact that Miriam drove over 200 miles from her home to the White House, stating Miriam clearly had ill will. The sisters say police over reacted and they should have given her a chance to get out of the car. The sisters claim Miriam was fleeing, ramming barricades and patrol cars because she was scared of the police. The sisters have hired an attorney to represent them in their sisters death. The attorney told reporters that Miriam had just as much right to be at the Capitol as anyone did. The attorney said regardless if her intentions were unknown, she didn’t fit the profile of a terrorist. The sisters and the attorney say they put the blame on the police and the government. Police say they did not know the woman’s intentions, they didn’t know her personally, and it would be irresponsible to wait to find out, especially had she had a bomb strapped to her chest. Experts say terrorists can come is all forms and America should realize that after the Fort Hood Shooting in Texas. Nidal Malik Hasan was an U.S. Army soldier turned Muslim Terrorist. Authorities say the fact still remains that much of the incident was caught on video and Miriam did in fact attempt to breach security no matter how you look at it. The sisters continue to deny that Miriam was mentally unstable and want their attorney to look into the case. Police reports obtained on Friday show that mental health documents were discovered and removed from Miriam’s home during the search. The police report confirms Miriam was being treated for schizophrenia, bipolar disorder, and severe depression. Her list of medications were Risperidone, Escitalopram, and Lexapro. Miriam’s boyfriend told police that she had started tapering off her medications. Residents of D.C. have expressed some feelings of concern that the sisters may be out to make money off of Miriam’s death.